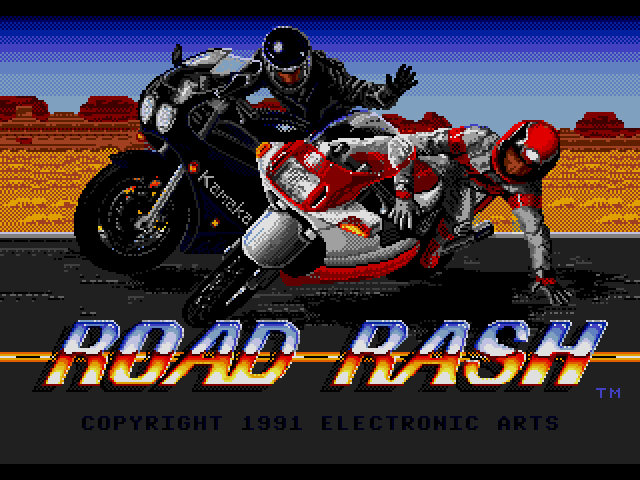 Road Rash was released in 1991 by Electronic Arts (EA) for the Sega Genesis. It’s a classic motorcycle racing / fighting game. 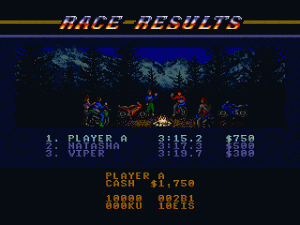 The goal is to finish each race in the top position by any means necessary. You can attack your opponents with your bare fists or with weapons. 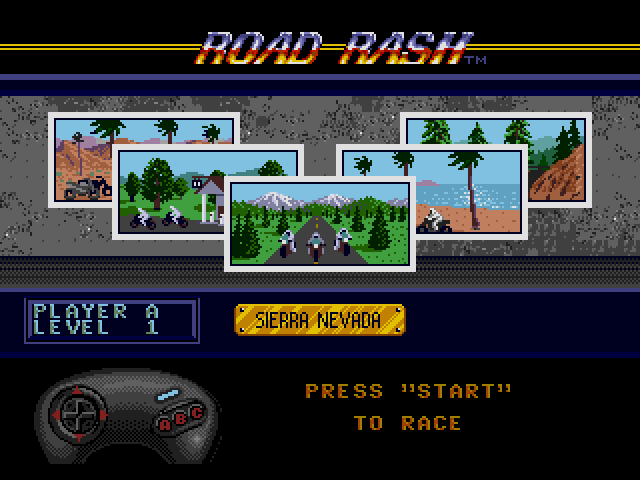 There are eight different bikes you can choose from. 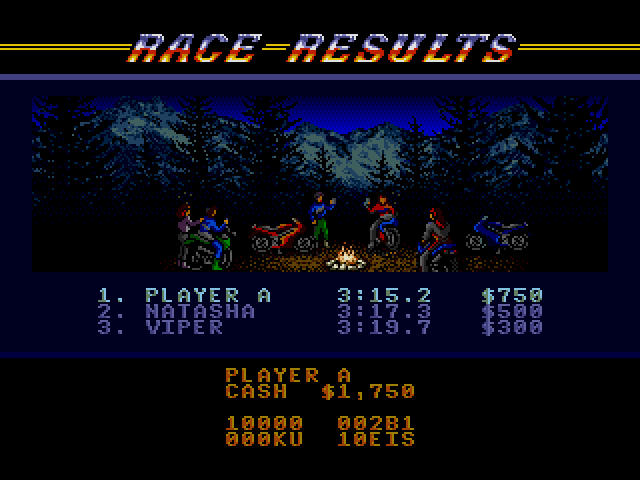 You start out with a bike and by winning races you earn money that you can use to purchase other bikes. 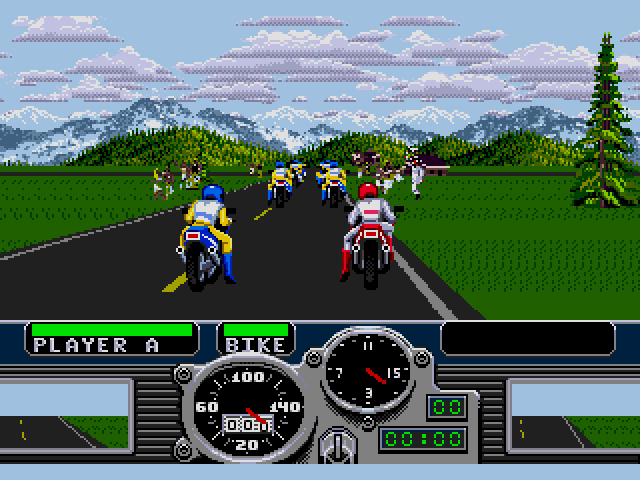 Once you can get a fast bike it’s a lot more fun to race. 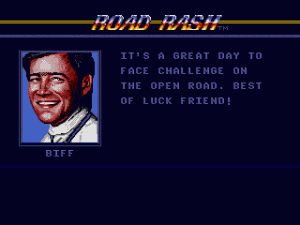 You can attack other racers by driving them off the road or into oncoming traffic. If beating racers down with your fists isn’t enough you can use chains or big clubs. 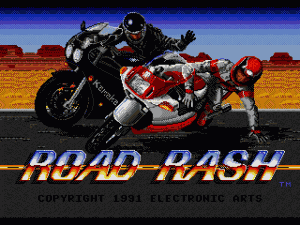 Road Rash is a must have if you like racing or fighting games. It’s a very inexpensive and fun game to add to your collection.